3 Vernon Heath is a superb light filled linked-detached family home set just off Vernon Avenue in a secluded cul de sac setting. 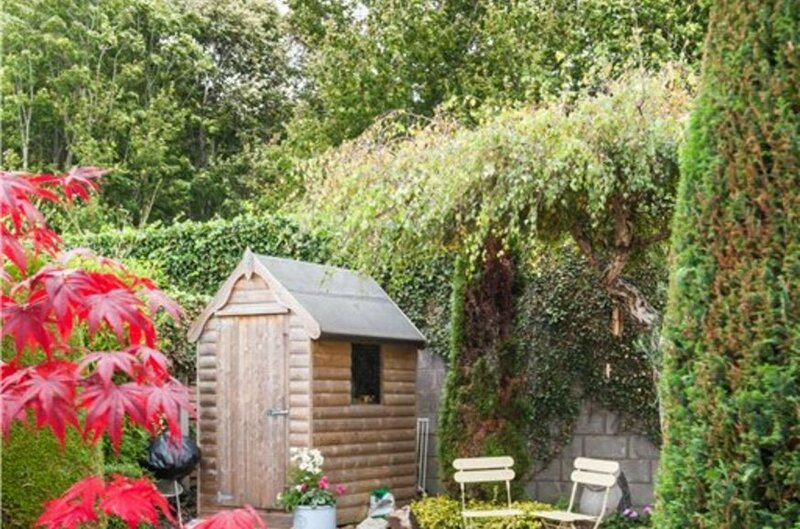 The property is afforded a great deal of privacy and enjoys a uniquely tranquil setting in this most sought after location. 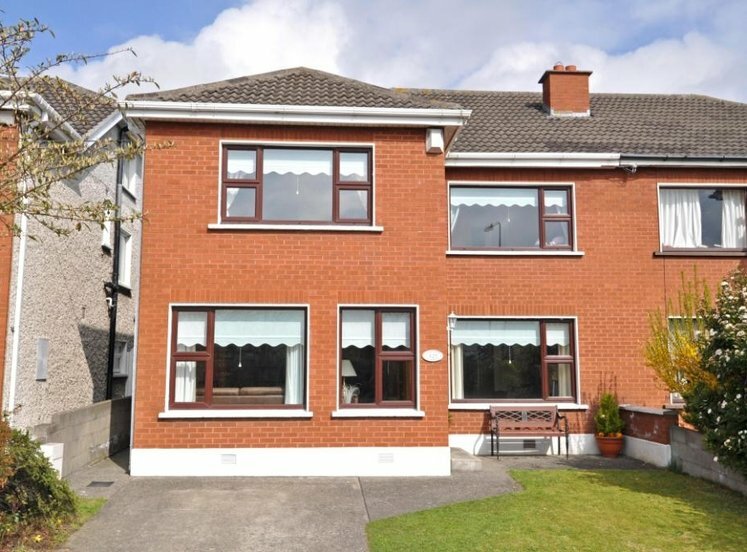 This elegant four bedroom home has been meticulously maintained by the current owners and provides versatile and spacious accommodation throughout. Internally there is a spacious hallway with under stairs storage and guest WC. 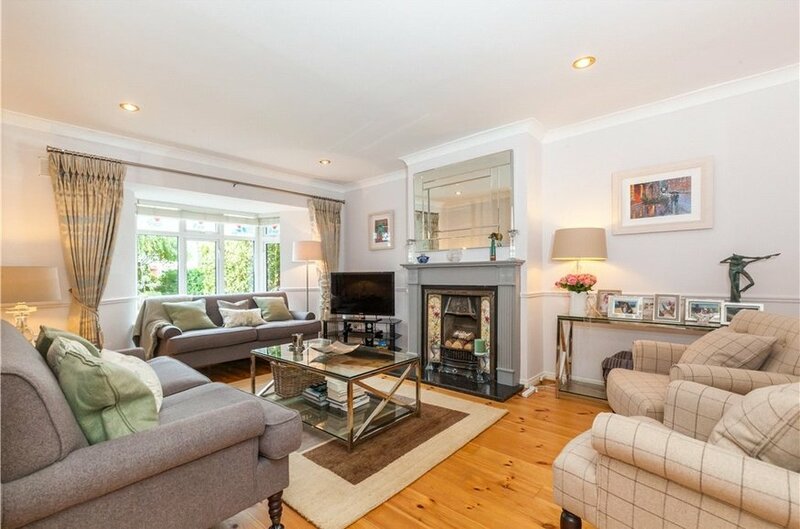 Double doors open through to the elegant living room, this space is flooded with natural light with the aid of a large bay window and a feature fire place with gas inset fire creates a real focal point. 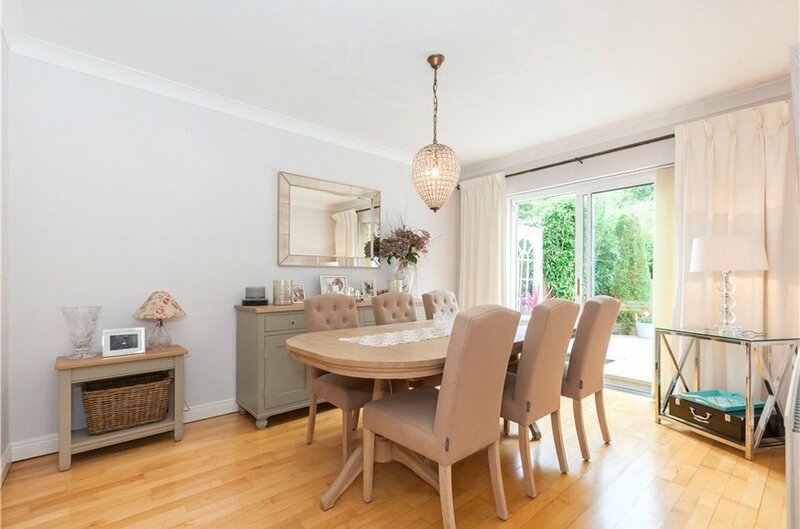 Double doors lead through to the dining room; this wonderful space opens out to the rear garden and provides an ideal space to entertain. The modern kitchen is fitted with a range of Ivory high gloss wall and floor units and is finished with solid wood work tops; there is an integrated dishwasher, fridge freezer, oven, hob and extractor. The feature breakfast bar is also finished with solid wood and is ideally positioned to enjoy a view towards the landscaped rear. There is access to the utility room and a door opens to the rear garden. 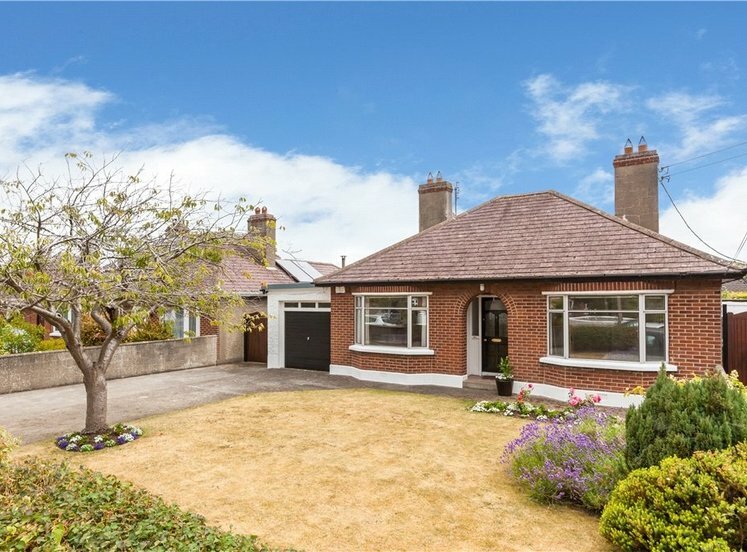 The further appeal of this home is the converted garage it offers an additional reception room and creates an ideal space for a variety of uses such as home office, study, or family room. 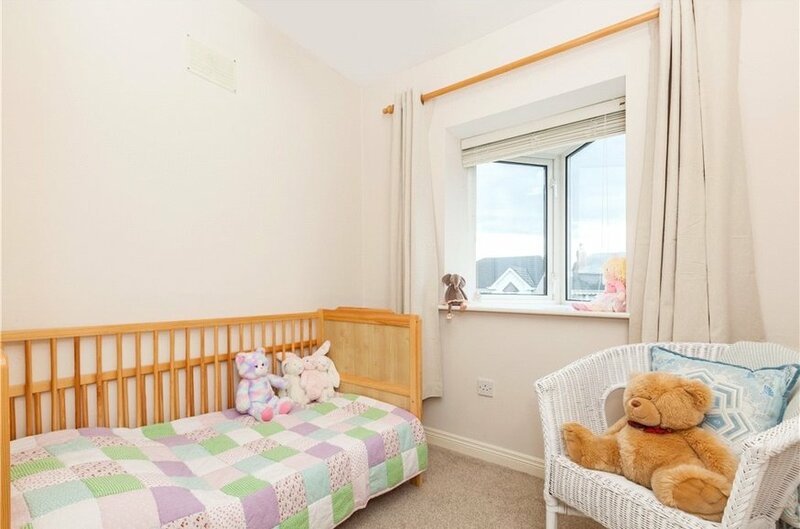 Upstairs there are four spacious bedrooms with built in wardrobes. 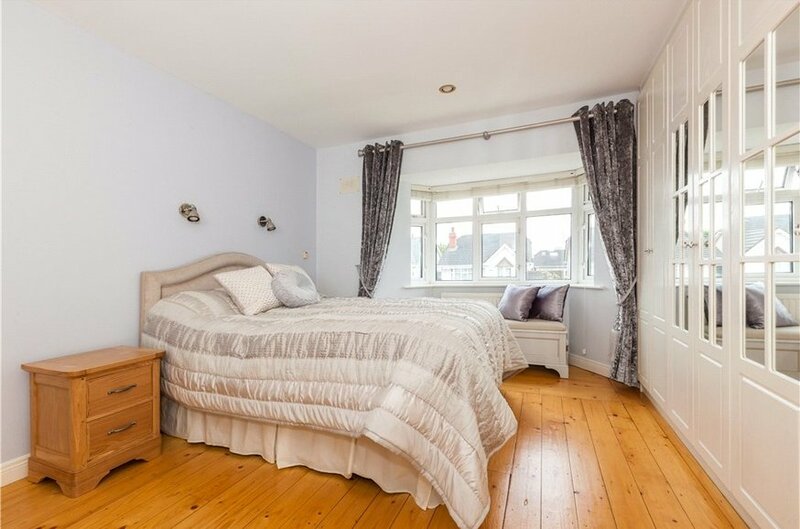 The master bedroom has a wonderful bay window and luxurious en-suite. A modern shower room completes the accommodation. 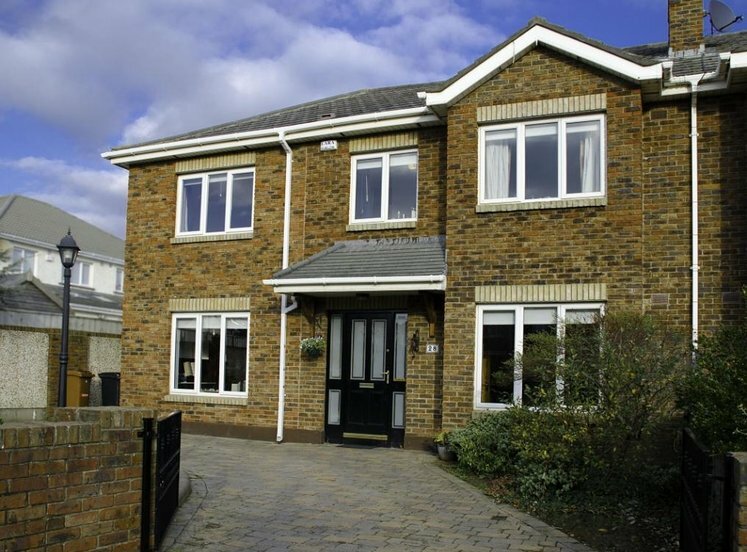 Outside the gated front garden is planted and bordered with mature hedging and shrubs, a cobble lock driveway provides ample off street parking. 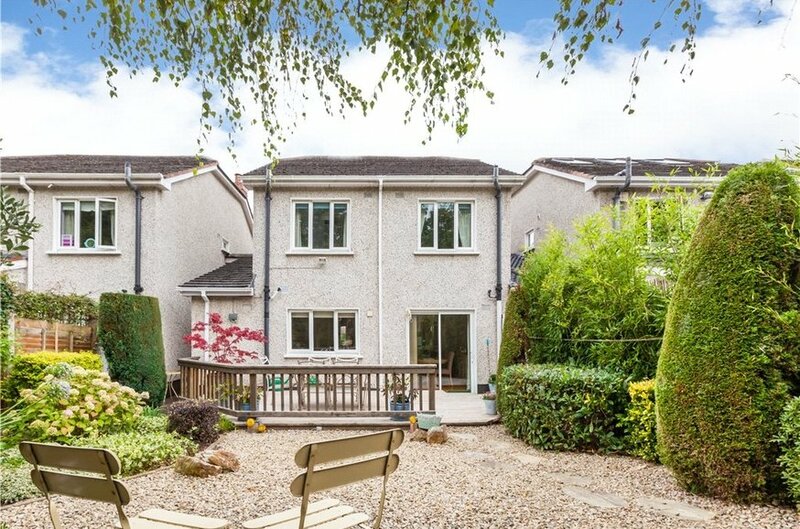 The secluded rear garden has been landscaped to provide a low maintenance and tranquil space. It is predominately laid in shale and bordered with a selection of mature shrubs, plants and trees. A feature raised deck provides an ideal space to dine alfresco. 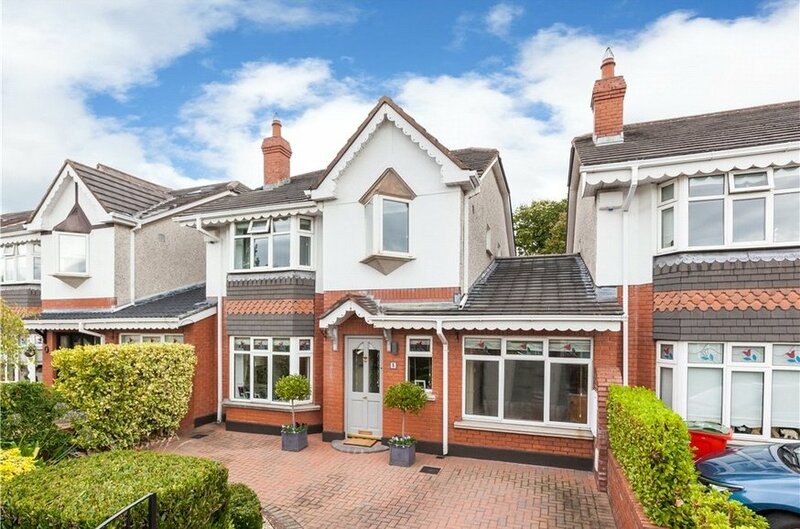 This prime residential location offers easy access to all the amenities that Clontarf has to offer including a superb selection of cafes, restaurants, convenience stores and boutiques. 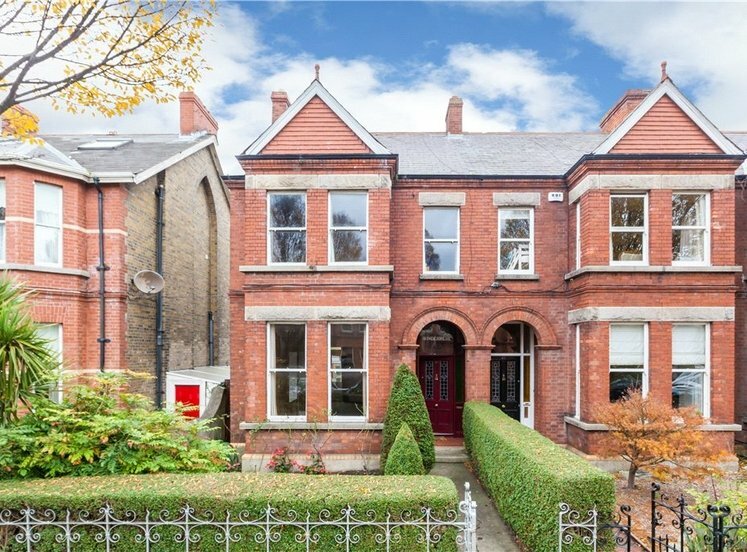 It is within walking distance of the Sea front and St Anne’s Park. 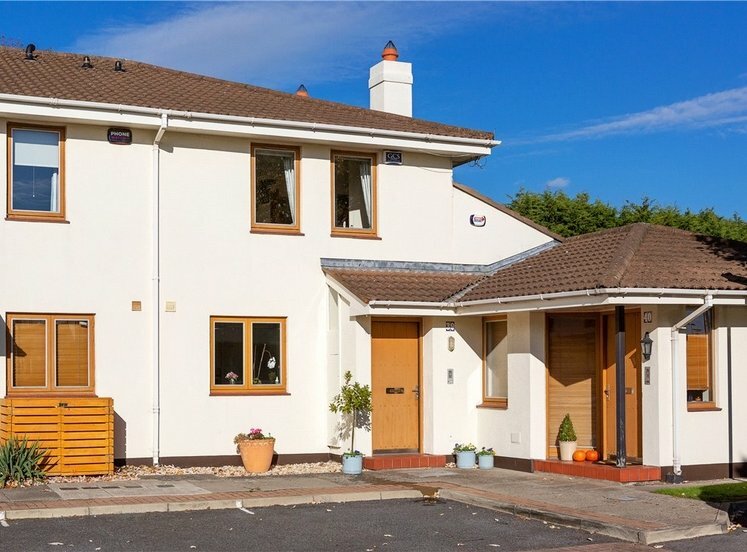 Some of the best junior and secondary schools are located nearby and there are a host of sporting clubs in the immediate locality, including golf, sailing, rugby, GAA, hockey and tennis to mention but a few, catering for every ability and age. Bus stops within walking distance of the development ensure easy access to all parts of the capital and beyond. 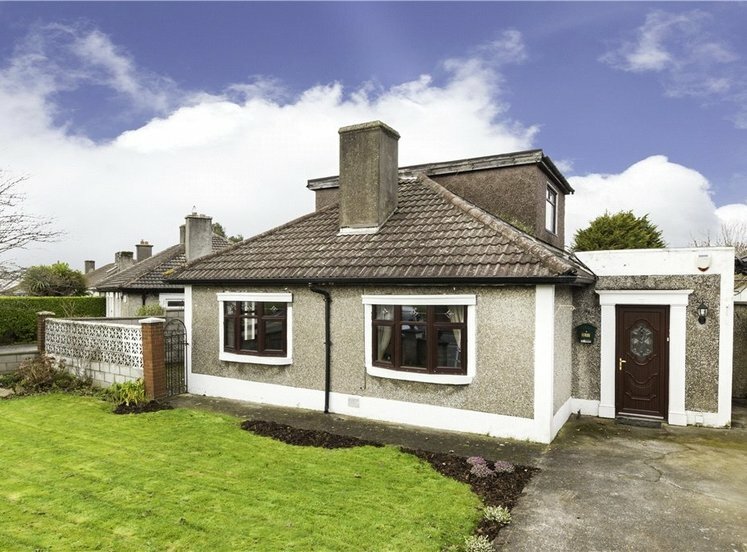 Seldom do houses of this calibre in this condition come up for sale and viewing is very highly recommended. Spacious entrance hallway with guest WC and under stairs storage. Solid wood flooring. 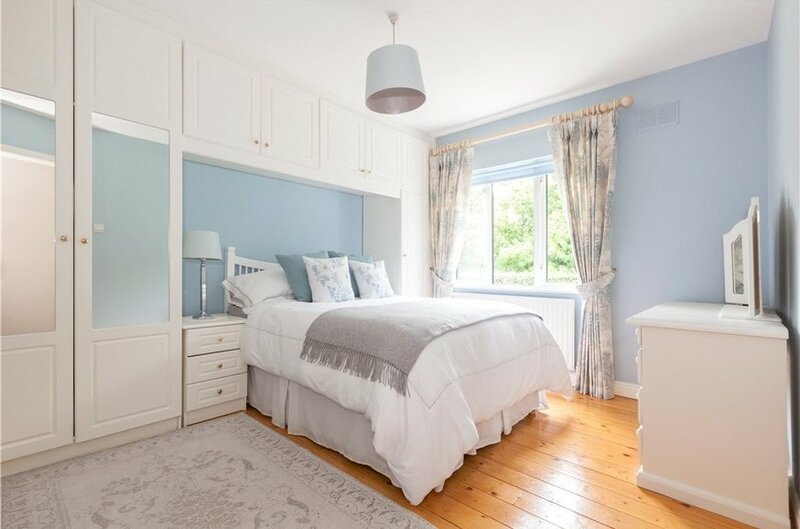 This elegant room is accessed off the hallway via double doors, it features a large bay window. The fireplace with gas inset fire creates a real focal point. Double doors open through to the dining room. There is recess lighting and solid wood flooring. The dining room offers an ideal space to entertain and opens out to the rear garden through sliding doors. Solid wood flooring. 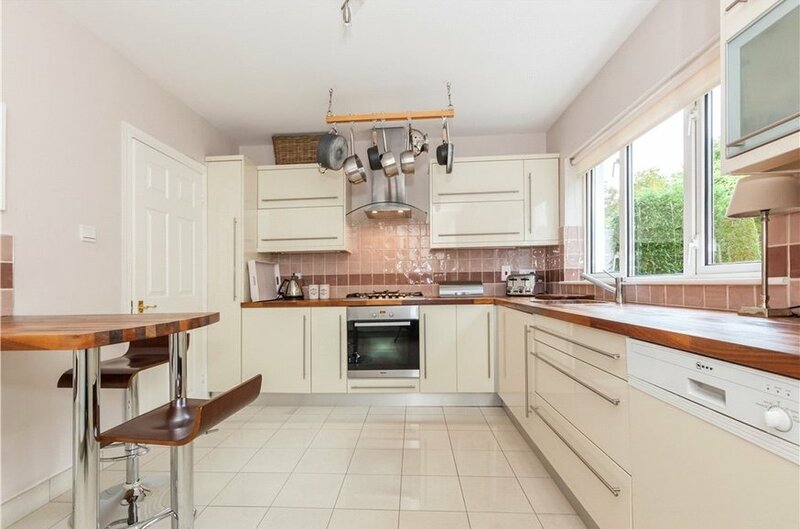 The modern kitchen is fitted with arrange of Ivory high gloss wall and floor units and is finished with solid wood work tops, there is an integrated dishwasher, fridge freezer, oven, hob and extractor. The feature breakfast bar is also finished with solid wood and is ideally positioned to enjoy the view over the rear garden through the large window. There is access to the utility room. Porcelain tiled flooring. The utility room provides additional storage and has plumbing for a washing machine. A door opens out to the rear garden. Flooded with natural light with the aid of a large window this room offers an additional reception room ideal for a variety of uses such as home office, study. 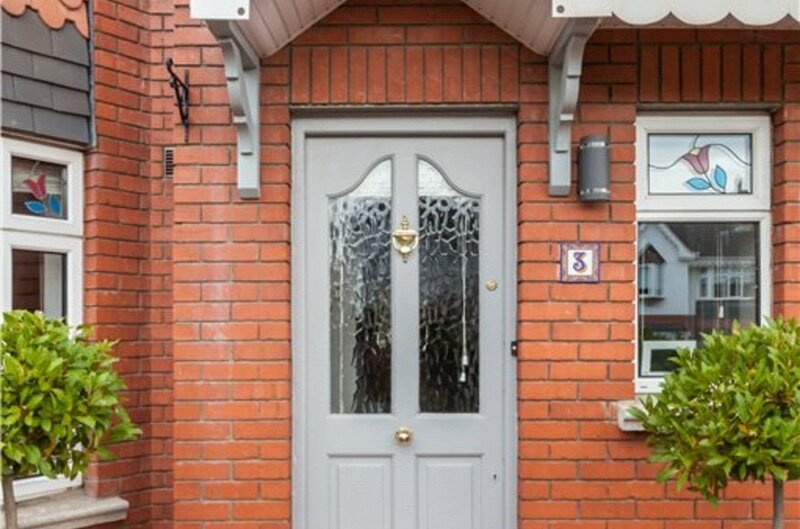 A door allows access to the rear garden. 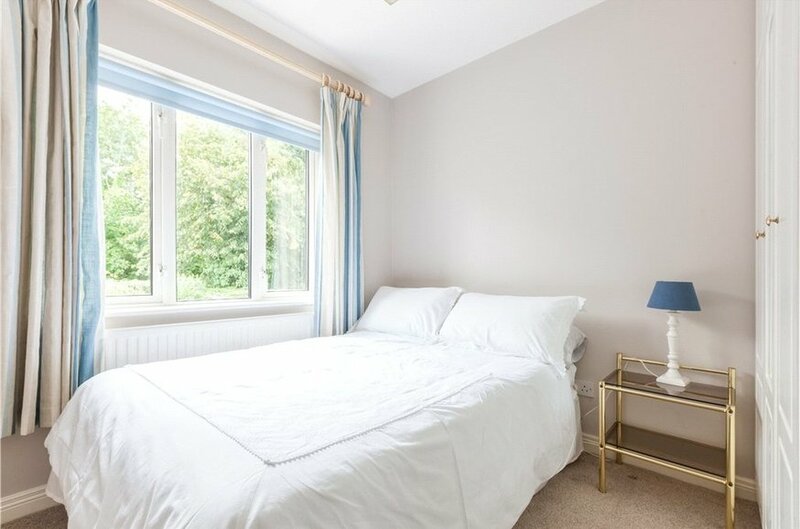 This large bedroom is located to the front and features bay window and built in wardrobes. This room also has a luxurious en-suite. Solid wood flooring. The modern and refurbished en-suite is fitted with wc, whb with built in storage and walk in shower. This space is fully tiled . Recessed lighting. 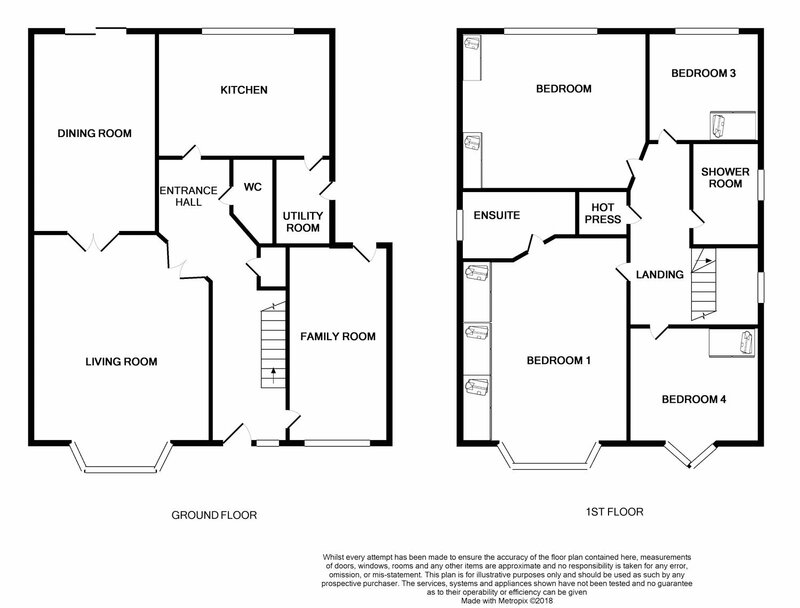 Double bedroom located to the rear with built in wardrobes. Solid wood flooring. Double bedroom located to the rear with built in wardrobes and solid wood flooring. 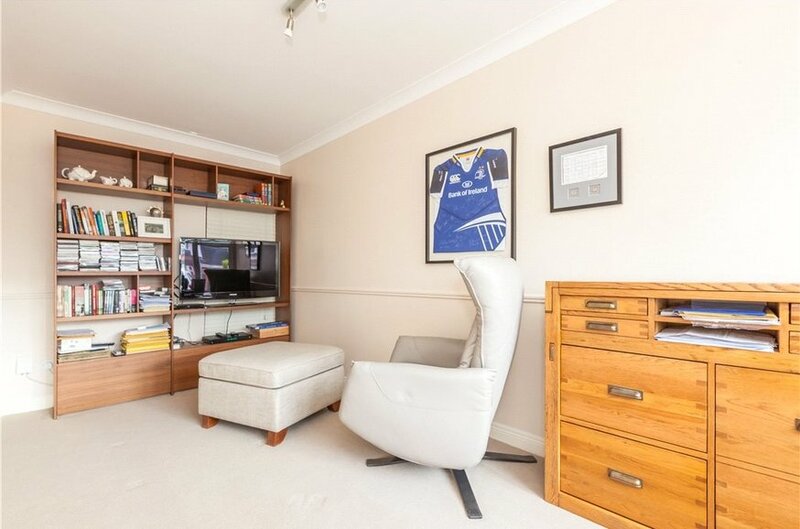 Spacious single bedroom with built in storage and feature window. 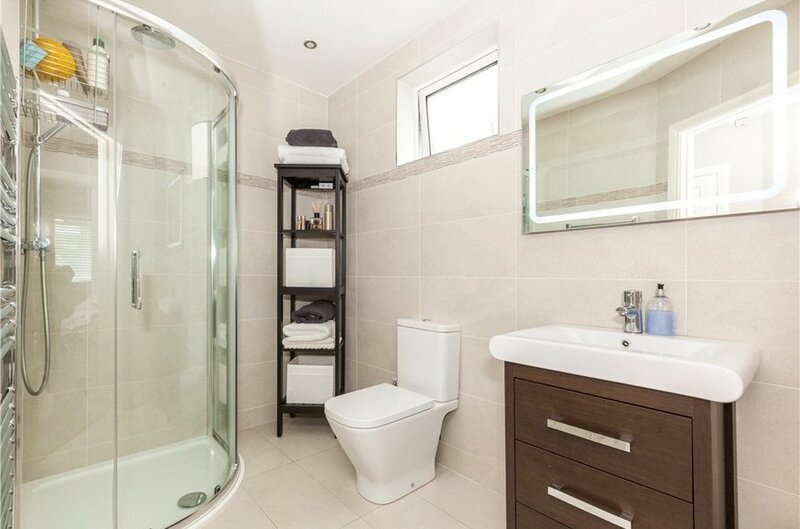 The modern and refurbished shower room is fitted with wc, whb with built in storage and large walk in shower. This space is fully tiled . Recessed lighting.